My third award for this year thanks to Selma of Meteo Beauty for choosing me. 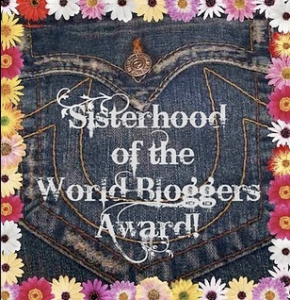 Receiving an award is really an honor for a blogger and i am always grateful and happy every time i received one. So thank you Selma for including me in your list. I have large collections of all sorts of stuffs dolls, stamps, pocketbooks, magazines, accessories, etc. etc. etc. I'm a member of BASI a group of bloggers from around the world united to make a stand against Social Injustice. And I love being in it. Congrats on the award Nana:)! I got your message on IFB and I'm following you now:)! Here are my links so you can do the same too! Congratz on the award and thanks for the nomination! You are awesome!